The fortunes of the JSE are very much tied to that of emerging markets in general. 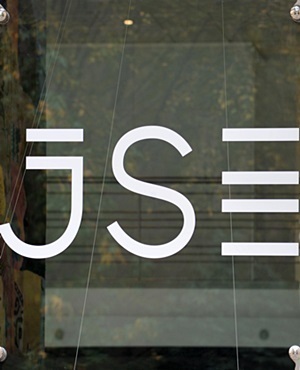 The MSCI Emerging Markets index [JSE:EEM] is the main emerging markets index. It has now reached an important support level. Current Trend: Down on all main timeframes but oversold. Strategy: Wait for a weekly close above line 2 to buy. (More aggressive players buy off line 1). Chart Setup: The Emerging Markets index has now reached its minimum downside target from a head and shoulders pattern (labelled s-h-s) from early 2018. • Importantly, it has also reached line 1 support at 38.20. (The EEM was trading at 38.44 at the time of writing). • Therefore, for the first time in many months we may be near the low of this downtrend. (The JSE has been tracking this index all year, and won’t rally in earnest until it breaks out above line 2). • In addition, its weekly Stochastic (on top) is giving a bullish divergence (i.e. its not making a new low) from its oversold level, warning of a large rally to come. Strategy Details: Monitor this index closely for a weekly (i.e. Friday) close above line 2 to trigger the buy. That will be a buy for emerging markets in general and the JSE. Or, one can trade the EEM directly on the NYSE, or locally via the SatrixEMG EFT. (Line 2 is at 42.45 next week and declining by 20c per week thereafter i.e. to 42.25 etc.). Target: For now, we need line 1 (38.20) to hold. However, a weekly close below line 1 will be further bearish for it, and the JSE. The next support if line 1 breaks, is 36.90. But for an upside breakout of line 2, it will target 45.00-46.70. Stop-loss: A daily close below the low of this large correction (once the buy signal has triggered).